At age 7, I began wearing glasses. What Was Your Biggest Complaint About Glasses? I hated that I was not able to see without them. It is amazing to get up in the middle of the night or first thing in the morning and be able to see. I save time and money not buying contacts or glasses. I don’t have to worry about losing a contact when I’m playing volleyball or with my kids. It is an amazing procedure and worth everything to have it done! Yes! 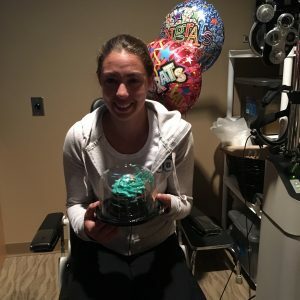 The staff at Indiana LASIK Centers were patient & helpful and they had my best interest in mind. With LASIK, my eyes are less irritated for work and my hobbies!